The recent space missions devoted to the exploration of the so-called “minor bodies” (i.e., comets, asteroids, and dwarf planets), comprising ESA Rosetta and NASA Dawn, are required to cope with a new scientific and technological issue: smaller rocky objects often have irregular shapes to which it is hard to apply bi-dimensional projections commonly used for Earth and other planets. Fortunately, technological advances in computer visualization have helped researchers face this problem, and one of the main actors involved in this task is the Space Science Data Center of the Italian Space Agency (SSDC – ASI). Since 2013, SSDC started to develop MATISSE (Multi-purpose Advanced Tool for the Instruments for the Solar System Exploration) and, during the course of several years, the center expanded its collaborations with scientific teams involved in the studies of minor bodies. Currently, not only data ingested by MATISSE can be analyzed in advanced 3D visualization, as the core of the MATISSE tool has been developed, becoming a Python 2.7 package to be used as a stand-alone command line software. The paper here discussed presents these new updates by describing the Python package (called vtpMaker – available on demand from the SSDC website) in depth and then using some selected examples (generally already published in peer-reviewed journals or presented at scientific meetings) to demonstrate the powerfulness of the 3D visualization analysis for such objects. 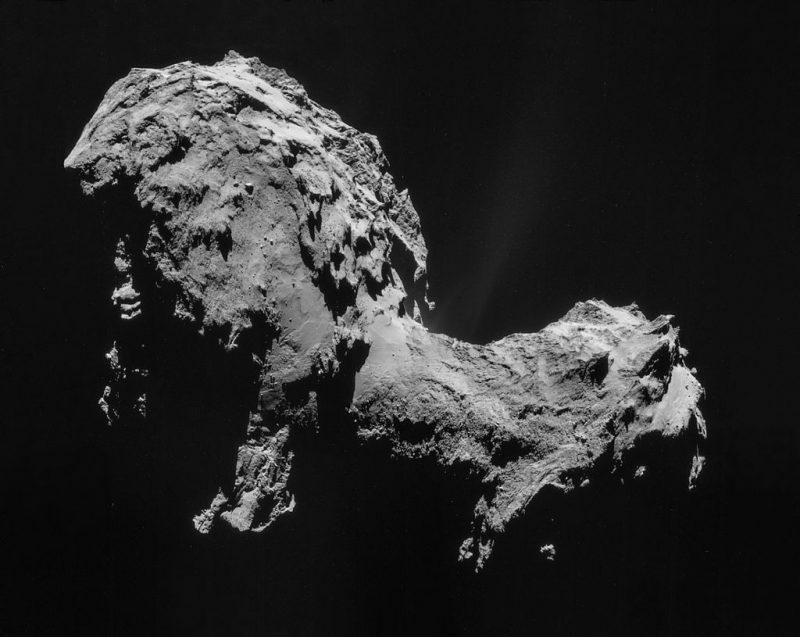 The main results shown have been obtained with the VIRTIS infrared imaging spectrometer onboard the ESA Rosetta mission to comet 67P Churyumov-Gerasimenko. This mission expressly required a 3D visualizer and projector, as the extreme bi-lobate shape of the target comet made other types of data visualizations almost useless. The SSDC helped in projecting both surface and coma observations, also providing videos unmasking the water ice diurnal cycle on the comet’s surface or with a pseudo-triangulation, composed by data acquired over different orbits, clearly showing the surface area where water vapor seems to originate. Without these solutions, surface data geographically close to each other would have been viewed as distant, thus avoiding the possibility of studying them correctly; or coma observations would have been hardly interpreted, losing precious information. Results have been also obtained for the NASA Dawn mission to Vesta and Ceres by using data fusion between the Framing Camera and the VIR instruments, inspecting near-infrared spectral parameters related to surface albedo, thus finding the mineralogical characterization of the surface of Vesta. An interesting outcome of the entire task developed at SSDC was that described in the section of the paper dedicated to the outreach: the MATISSE tool has been used in an educational ministerial program for high-school students. Thanks to the user-friendly interface of the tool, students successfully replicated a published analysis of the dark regions of Vesta, using publicly available data. The authors also started an official collaboration with a US high-school to use MATISSE in a course (http://www.ssdc.asi.it/news.php#453).